It is no secret that Joe and I are currently TTC and although we don't drink a lot normally we have been making a conscious effort to cut back on alcohol. That means an almost alcohol free Christmas and I think we will feel quite good for it. Whether you are TTC, pregnant already, designated drivers or non-drinkers in general there are always delicious alternatives and Christmas and getting drunk shouldn't always go hand in hand. 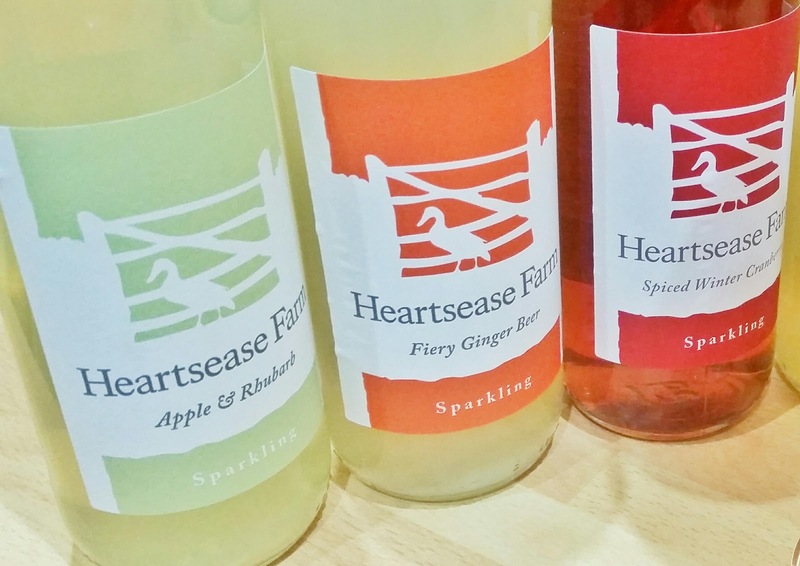 These drinks from Heartsease Farm are great mixers for cocktails but also are really tasty on their own too! I adore the Heartsease packaging with the ducks and don't think they would look out of place in a hamper as a gift either! 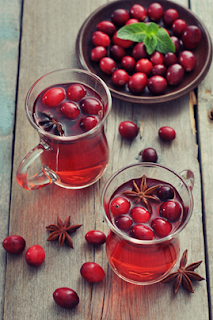 The Spiced Winter Cranberry is really festive with light mulled spices and is even nicer warmed up (see recipe below). 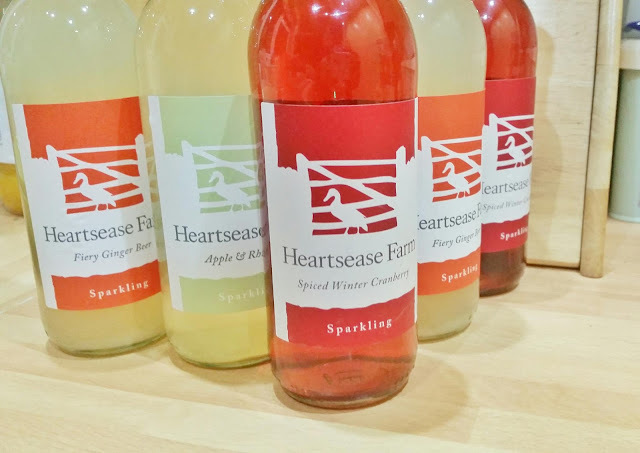 The Apple and Rhubarb is super fruity and feels like a proper grown up soft drink. It reminds me of being a child and my parents 'treating' me to an Appletiser at a 'posh' restaurant! Rhubarb is also one of my favourite flavours so this one was my top choice. I am not a huge Ginger Beer fan but my Brother loves it and gave the Fiery Ginger Beer a big thumbs up. He said it has a fruity note too which was nice. 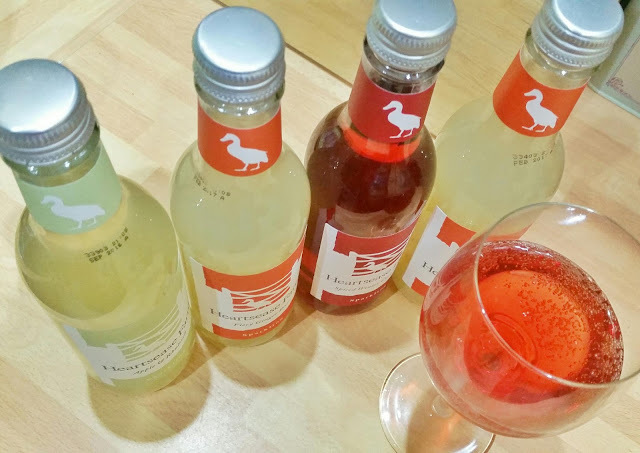 I think Ginger Beer is really nostalgic for a lot of people and perfect for the festive season. The scent of cinnamon and clove hit you first, followed by the warming, sweet taste of Cranberry. A truly mouth-watering combination, an ideal spiced fruity treat to indulge during this Season. In a saucepan warm the contents of a 750ml Spiced winter cranberry, add a small cinnamon stick, a few cloves, a star anise, orange slices and a handful of fresh cranberries. Serve and enjoy!